Venture Capital Trusts (VCTs) were created in 1995 to boost investment in smaller unquoted companies, there is now a good length of track record with a wide disparity in returns. The tax incentives are generous and of particular interest for investors liable to higher rates of Income Tax who are seeking an income. Who are VCTs designed for? * Includes any discount offered by the promoter. The six Albion VCTs are available within this top-up offer, investing in asset-backed and growth opportunities across a range of sectors. 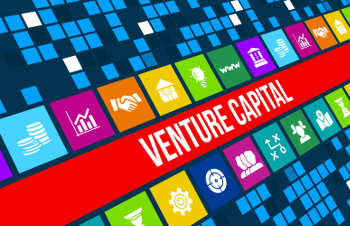 Calculus VCT is raising £10m via a top-up, to be invested in mature and profitable companies. The Downing FOUR Generalist Share class focuses on growth investments, by investing in a blend of companies at different stages in the business life cycle. Downing FOUR VCT Healthcare Share class will focus on investing in innovative healthcare and biomedical companies. Draper Espirit VCT (previously Elderstreet VCT) is an established generalist VCT having launched in 1998, co-managed by Elderstreet & Draper Espirit, who took a stake in Elderstreet Investments in November 2016. Foresight 4 VCT is a generalist VCT, investing across a broad range of sectors and has a target dividend of 5% per annum. A large private equity VCT investing in early stage companies, with a legacy bias to the technology sector. Pembroke VCT B Share sits within Oakley Investment Management, a private equity specialist. The VCT is generalist, investing in companies with a focus on consumer brands. Proven VCT and Proven Growth & Income VCT both follow growth orientated investment strategies, focusing on established companies that require capital to enhance their growth prospects. A top-up into an existing limited life VCT managed by an experienced team with a focus on capital preservation. An existing VCT, launched in 2001, which will now be managed by Seneca Partners with a more generalist investment approach. Unicorn AIM VCT is the largest single AIM VCT and offers investors exposure to a mature and established portfolio of companies listed on AIM. If you want to benefit from 30% initial tax relief you must subscribe for new VCT shares via a public offer. You can download the prospectus and application forms using the links above. The information set out above is included for information purposes only and is not an offer or an invitation to buy or sell or a solicitation of an offer or invitation to buy or sell or enter into any agreement with respect to any security, product, service or investment. Any opinions expressed do not constitute investment advice and independent advice should be sought where appropriate. All information is current as of the date of publication, subject to change without notice, and may become outdated over time. Links to third party sites or pages are for information purposes only and such sites and pages are not part of this website or the responsibility of EQ Investors Limited and have not have been reviewed or verified by EQ Investors Limited. Following links to or from any other sites or pages shall be at your own risk. Please note that tax rates and bases can change without notice. VCTs should be considered to be high risk investments suitable only for experienced investors who can afford to incur losses. We expect demand for VCTs to outstrip supply for the forseeable future as the number of opportunities for tax efficient investing by higher rate taxpayers reduces. Jacob is a 64 year old sales director, with overall wealth in excess of £3million including property. He earns £295,000 in 2016/17 and wants to reduce his liability to income tax. He applied for fixed protection in 2014, meaning that he can no longer make contributions into his pension. Ordinarily, he will have to pay a total of £118,850 in income tax on his earnings of £295,000. Due to his level of income, his has lost his personal allowance. This means that all of his income is taxed; therefore, on the first £32,000 of his income, he will pay basic rate tax at 20% amounting to £6,400. On the next £118,000, he will pay higher rate tax at 40% amounting to £47,200. On the top £145,000, he will pay additional rate tax at 45% amounting to £65,250. Jacob receives a bonus on top of his salary, most of which is surplus to his requirements. Therefore, he invests £185,000 into a VCT during the 2016/17 tax year. He receives income tax relief at the rate of 30% of his investment. The tax relief therefore reduces his income tax liability by £55,500, from £118,850 to £63,350.